I'm loving Vogue Australia's natural approach for their September 2014 cover. Sure, there's hardly ever anything "natural" about a cover shoot, but Vogue Australia have captured a very easy going and relaxed moment here that comes pretty close to the real thing. 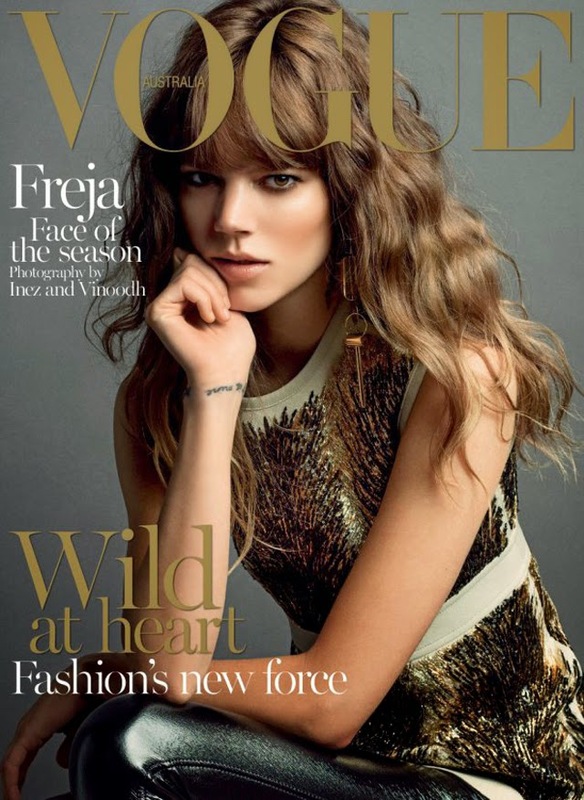 Freja Beha Erichsen is the cover model for the September issue. Seen wearing Louis Vuitton, Freja sports natural makeup and casually curly hair. It's an easy going approach to the season and a nice change of pace from covers looking to win buyers with bright colours and over-dramatized settings.